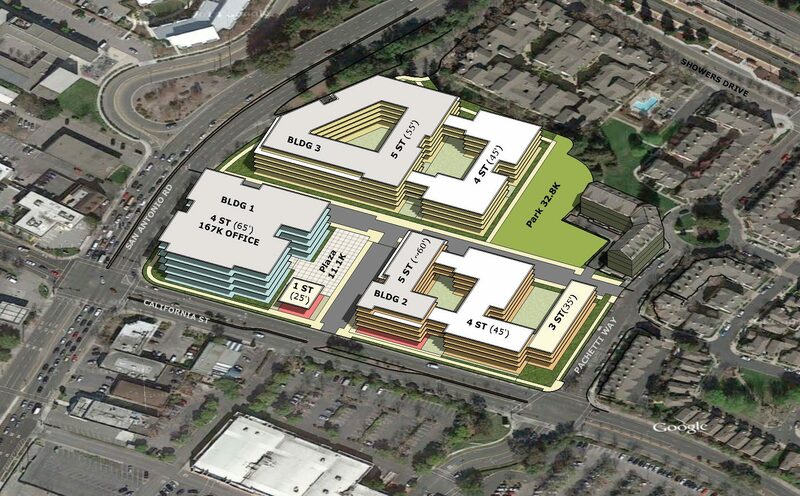 VMWP is helping Greystar to reposition a fading strip retail property in Mountain View as a four building mixed-use Transit Oriented Development. 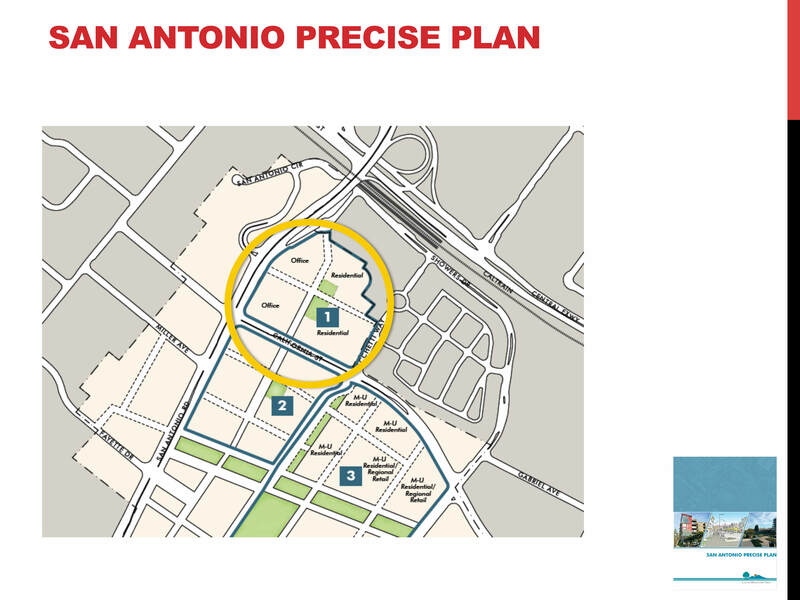 Leveraging the site’s location less than a quarter mile from the San Antonio Caltrain Station, the proposed project represents a significant implementation of the newly adopted San Antonio Precise Plan. 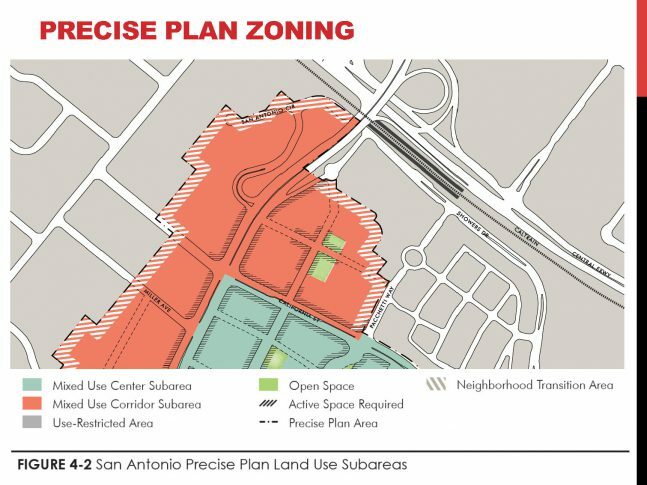 VMWP has tailored the Master Plan design to incorporate community feedback, minimize impact on adjacent properties, and concentrate traffic away from the surrounding residential developments. VMWP analyzed both Residential and Office programs for the site. 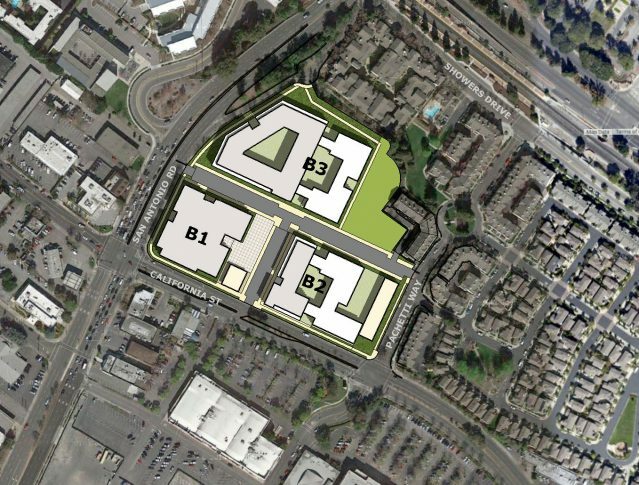 VMWP is leading urban designer for the Master Plan entitlement process. 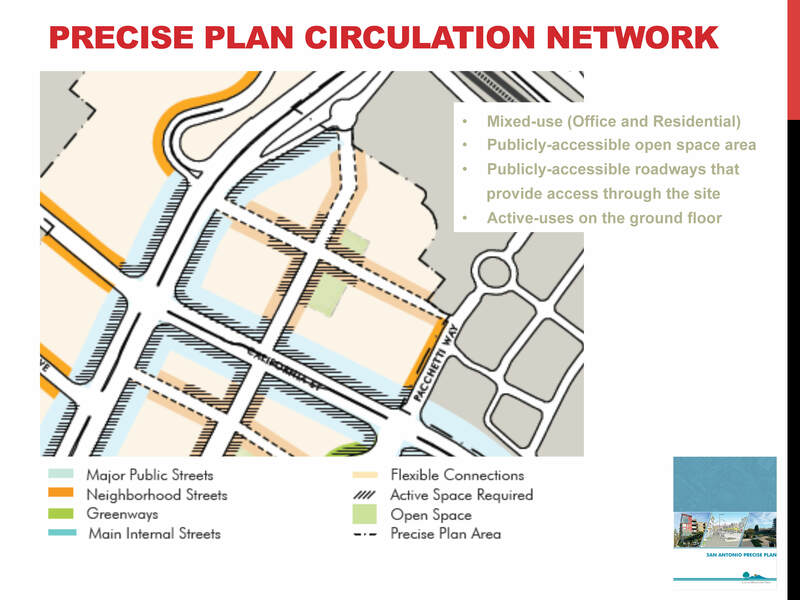 Street grid and pedestrian walks increase connections to Caltrain station. Building height transitions from San Antonio Rd. down to a residential scale at Pacchetti Way. Building massing is designed to break down podium buildings to residential scale. The master plan carefully balances design impacts with code limits and construction feasibility.